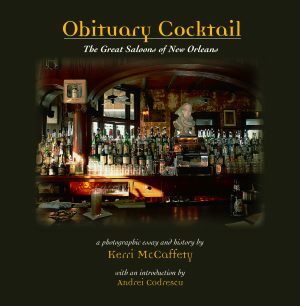 Presented in the pages of this book is an amazing pictorial overview of some of the finest drinking establishments in the world still operating today and cherished photographs of those no longer open. 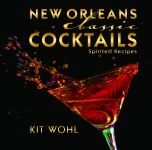 Lavishly illustrated with two hundred color photographs, this lush history provides a glimpse into the architectural and cultural treasures of New Orleans’ drinking scene. It overflows with tantalizing stories from the best bars in town. 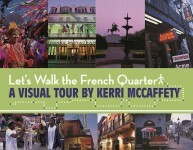 Kerri McCaffety is regarded as a top photographer and her art hangs in galleries and museums throughout the country. She is the winner of the Society of American Travel Writers’ Gold Lowell Thomas award. 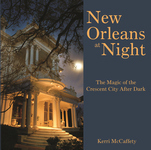 McCaffety is passionate about documenting her adopted city and has done so in several titles including The Majesty of the French Quarter; The Majesty of St. Charles Avenue; Étouffée, Mon Amour: The Great Restaurants of New Orleans; St. Joseph Altars; and Napoleon House all published by Pelican. She lives in New Orleans with her family.